The Misfit Ray, which we reviewed back in April, went on sale in June starting at $99.99. The stylish wearable was planned before Fossil bought Misfit late last year but it's clear now that we'll see even more fashion accessories for the Ray than the Shine's Swarovski partnership. Since we snapped the Ray with sport, leather and cord bands at CES, readers have been asking when each band will be available. It's currently on sale in carbon black and rose gold finished aluminium, for $99.99 with a waterproof, rubber sport band and $119.99 for a black or gray leather band. The double wrap leather Rays, the Rose Gold and Stainless necklaces, and the Paracord Three Pack are available for immediate shipping now. New items and sets will be available for shipping throughout the rest of August with a few items shipping the first week of September. The existing carbon black and rose gold devices with new navy/forest green sport bands were up for grabs on 25 July. There's also new polished stainless steel trackers in silver/gold finishes. These will be available with sport bands in white and black or leather bands in cream, white and black. No matter which style you choose, the prices for Ray + sport and Ray + leather are the same. In the Misfit/Fossil tradition, what's nice is that you'll also be able to buy Ray accessories separately. 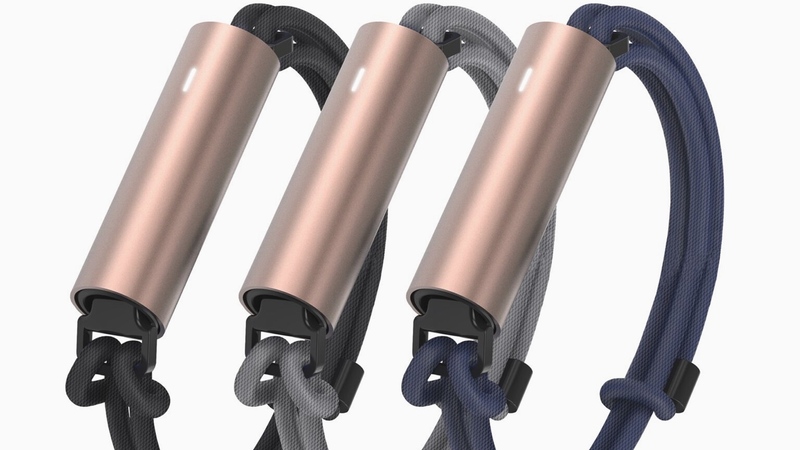 These include gold and silver drop necklaces, double loop leather bands in brown, dark grey and black as well as 3-packs of bands which are made up of one each from sport, leather and the popular paracord styles we saw back at CES. These accessories and packs will all cost around the $29.99 mark. "We're thrilled that Misfit products, in particular the Ray, will be more widely available in Europe," Niels Van der Valk, regional director of CE, EMEA at the Fossil Group, told us. "All our operations will go through our new Basel offices, our HQ and distribution will be out of our German warehouse. "We'll be selling through watch and jewellery channels as well which is new, which is where none of our competition is. With the new accessories and colour sets which are coming out, those will speak to that sort of clientele. I'm talking John Lewis, H.Samuel, real watch and jewellery stores." No doubt the range of accessory options is also designed to counter the Fitbit Alta with its Public School and Tory Burch fashion collaborations. Both the Alta and the Ray scored 3 1/2 stars in their Wareable reviews but it's worth digging into the differences before you make your decision. The Shine 2 isn't missing out either, it's set to get accessory kits in Q3 and new sport bands and colours in Q4 of 2016. Fossil is still on its mission to launch 100 wearables by the end of the year - it's not clear yet whether it's counting these new options as separate devices.